Jackson and I spent our Monday morning at a little aquarium on the shore of Loch Lomond. 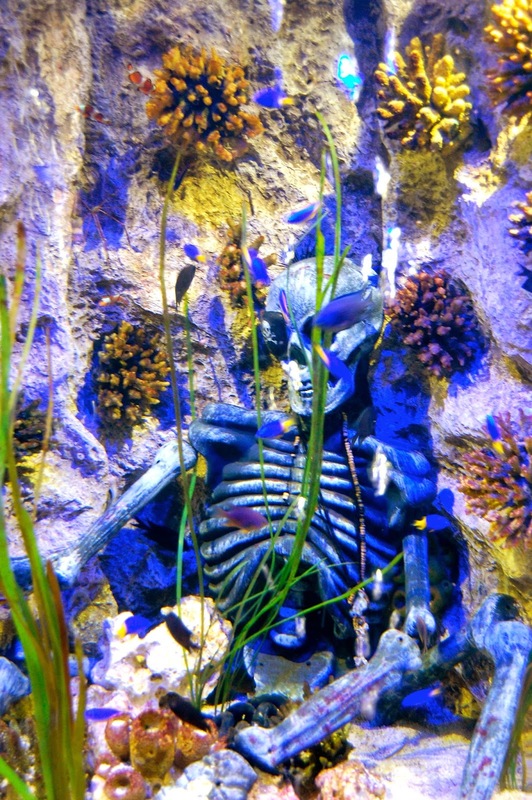 Run by a company (Sea Life) that owns 35 aquariums in Europe and the United States, the Loch Lomond aquarium is worth a visit only if you're a local. As a tourist, you wouldn't bother — it's small and has no real draw or attraction that would merit your time. And if you want to visit an aquarium in Scotland, your first choice likely would be the national aquarium, Deep Sea World, in Edinburgh. That said, the Loch Lomond aquarium is pleasant and friendly. While their collection of species is unimpressive, they've worked hard to present it well and show it in the best light possible. They have a short ocean tunnel to wander through, some otters to watch play, and a rooftop view of the lake. It's worth a couple of hours of time for your kid(s), and the outdoor mall surrounding the aquarium offers tourist shops and some pleasant cafes. Make sure to buy your tickets online, which are 30% cheaper than at the door (and kids under age 3 are free). The aquarium sits on the shore of Loch Lomond. Jackson was so excited to visit he ran in without taking off his coat. The aquarium has three otters. We spent more time at the otters than anywhere else. I have to admit, I crawled in and looked around, too. Not so much from you. Jellyfish again! We stopped at this tank multiple times. The aquarium's cafe and rooftop terrace look over the lake. 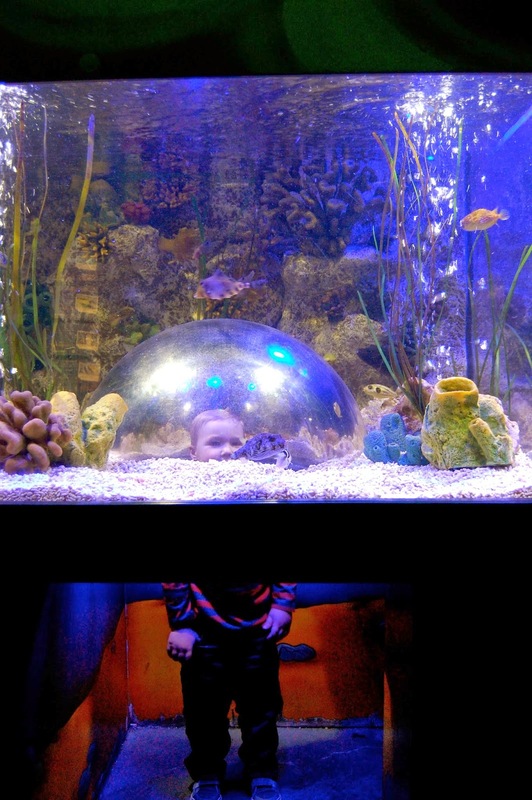 As a family, we're big fans of aquariums. Our visit to the Loch Lomond aquarium was underwhelming, partly because of its small size and partly because its offerings aren't all that exciting. Moreover, the last aquarium we visited, in Barcelona, was one of Europe's best; just about any aquarium was going to pale in comparison. But it was a nice way to spend a rainy morning. It's less than 30 minutes from our house in Glasgow. This summer we'll be spending some days on the loch, picnicking, hiking, and taking a tour boat to some of the islands. The aquarium will be a fun and quick stop during a day at the loch.